The main reason behind the strike is as a result of lack of proper funding of public owned universities . 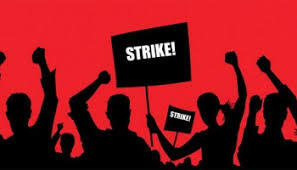 The ASUU have been giving out warning to go on strike since the beginning of the year , but the government have been making promises to them to fulfil their demands which have been futile . As per LAUTECH , there is no news yet on whether the school is joining or not , so we advise everyone to remain calm for now as confirmations is being made on whether we are joining or not . All freshers should continue with their registration tomorrow as staylites awaits the calendar and timetable tomorrow also .